If you are looking for that one of-a-kind piece or wanting to recreate a new piece using diamonds and jewelry you already own then our Custom Design workshop is the perfect solution for you! Have an idea of what you want or do you need someone to help you with a few creative ideas? Either way let us help you! We love to create beautiful timeless jewelry! 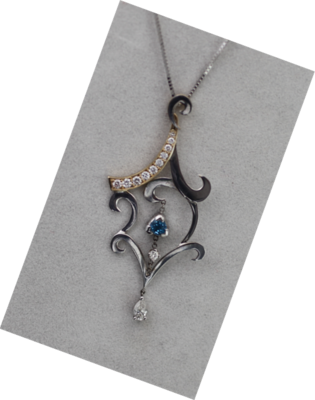 The Kansas Jewelers Association awarded James Strickland and Schmidt Jewelers with the award of Peopleâ€™s Choice at the 2016 Annual Convention for his beautiful piece in iolite, diamonds and white gold! At the 2013 Kansas Jewelers Association convention - James Strickland, our bench jeweler, received 1st place in the open/professional category and Best of Show.